L’Associazione per la Divulgazione Astronomica e Astronautica ADAA è lieta di annunciare che SABATO 29 e DOMENICA 30 APRILE 2017 ospiteremo a Malpensa (VA) l’astronauta CHARLIE DUKE Pilota del Modulo Lunare della Missione Apollo 16. Vivrete un evento unico mai visto in Italia. Due giorni immersi nell’avventura più grande dell’umanità! 45 anni dopo il suo storico viaggio; Charlie Duke decimo uomo ad aver camminato sul suolo lunare nel 1972 ricorderà la sua storica missione. Godetevi l’emozione del racconto da parte di uno dei soli 12 esseri umani ad aver camminato su un altro corpo celeste! 21.30 – 22.30: Sessione autografi. N.1 autografo compreso. Charlie Duke farà una foto ricordo con ogni tavolo! Si inizia alle 17.30 con un aperitivo esclusivo, riservato ai Vip PASS e Gold PASS; la serata prosegue poi con la possibilità di parlare in modo informale con i giornalisti e i numerosi esperti presenti al Galà. Sarà servita la cena, composta da un menù di tre portate, vino e acqua, caffè. Al momento della prenotazione si prega di indicare se si ha necessità di menù vegetariano e/o gluten free. Durante la serata saranno proiettati video per conoscere il nostro ospite che ci parlerà della sua carriera e del suo epico viaggio fino alla Luna. Traduzione di Paolo Attivissimo. Seguirà la sessione di autografi. Autografi aggiuntivi (chiedere al Desk). 16.30 -18.00: Conferenza e Q&A session (circa 15/20 minuti) Traduzione di Paolo Attivissimo. 18.15 – 19.30: Una sessione di autografi completerà ogni giornata. 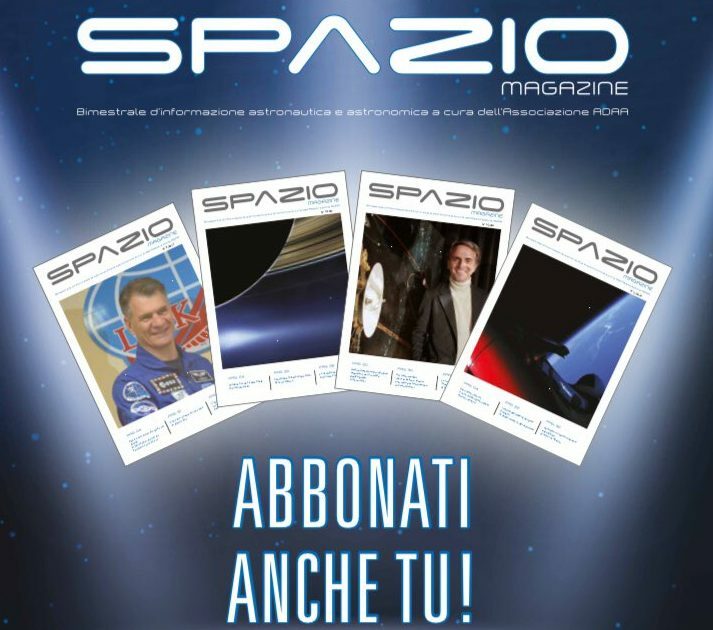 N.1 autografo compreso: ogni ospite può ottenere che la propria fotografia o oggetto sia autografato dall’astronauta (no dediche). Gli oggetti autografati saranno a discrezione di Charlie Duke (non portare oggetti ingombranti). Autografi aggiuntivi (Chiedere al Desk). ADAA is proud to confirm that in April 2017, retired United States Brig. Gen. Charles Duke – Apollo 16 Lunar module pilot and 10th Man on the Moon will be joining us for his public appearance in Italy. Upon graduation from the Naval Academy and receiving his commission in the USAF, Mr. Duke entered pilot training and received his wings in Sept. 1958. He served three years in Germany as a fighter interceptor pilot with the 526th Fighter Interceptor Squadron at Ramstein Air Base. He was then assigned to MIT for a master’s degree. In 1964, he entered the USAF Test Pilot School at Edwards AFB. He logged 4,147 hours flying time which includes 3,632 hours in jet aircraft. Astronaut Duke is one of the 19 astronauts selected by NASA in April 1966. In 1972, Apollo 16 astronaut, Charlie Duke, became the tenth man to walk on the moon. Duke, along with astronaut John Young, performed the Apollo mission with an enthusiasm and humor that entranced their vast TV audience. He has been delighting audiences ever since. Gifted with the combined abilities of storytelling and challenging others, Duke is in demand worldwide as a keynote and motivational speaker. Here is a man who has set goals and attained them. Duke is motivated, dedicated, and honorable. He is a man who not only entertains, but encourages and inspires others to reach their goals and beyond. On April 20, 1972, he, along with John Young, landed on the surface of the moon. Their stay on the moon was a record-setting 71 hours and 14 minutes. Duke and Young spent more than 20 hours exploring the moon. This involved emplacement and activation of scientific equipment and experiments, the collection of nearly 213 pounds of rock and soil samples, and the evaluation and use of Rover-2 (their lunar car) over the roughest and blockiest surface yet encountered on the moon. Charlie Duke filmed the only pictures made of the rover in action – it’s record setting speed was 17 kilometers per hour. During Apollo’s three day return from the moon, Duke experienced a space walk with the third crew member, Ken Mattingly. The view over one shoulder was filled with a brilliant full moon and over the other hung a crescent earth – a thin sliver of blue and white. “Fantastic!” Charlie would exclaim again and again. With the completion of the Apollo 16 mission, General Duke has logged 265 hours and 51minutes in space, which includes 21 hours and 28 minutes in extra-vehicular activities. Other Apollo 16 achievements include: largest payload placed in lunar orbit (79,109 pounds); first cosmic ray detector deployed on lunar surface; first lunar observatory with the far ultraviolet camera; and longest inflight EVA from a command module during trans-earth coast (1 hour and 13 minutes). Apollo 16 concluded with a Pacific splashdown and subsequent recovery by the USS TICONDEROGA. Duke also served in the Air Force Reserves as special assistant to the Commander of USAF Recruiting Service, meeting all goals in recruitment of engineers and doctors. He traveled extensively speaking at schools and universities as part of Project Warrior. He was appointed by the National Aeronautics and Space Administration to the NASA Advisory Council. He is presently owner of Charlie Duke Enterprises (which has produced two space videos) and is president of Duke Investments. General Duke is the past Chairman of the Astronaut Scholarship Foundation in Titusville, FL.